An advantage of an early start to the work day is the chance to see London before it properly wakes up. It’s a bit bleary-eyed, needs a shave and a haircut and another coffee wouldn’t go amiss. No. Wait, that’s me. But the principle holds, and just after sunup is a good time to change focus and look up rather than at the pavement. Things catch your eye. 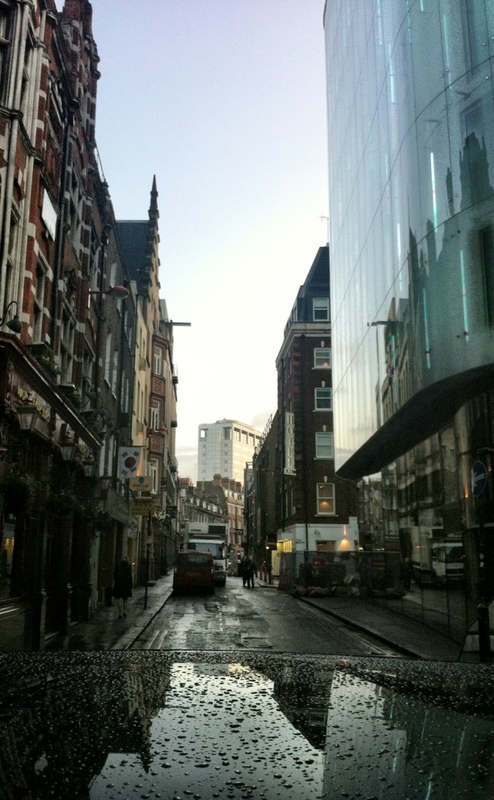 The reflection of a street in a car hood, and the way the attention is drawn down a bleak alleyway to a white tower in the distance. 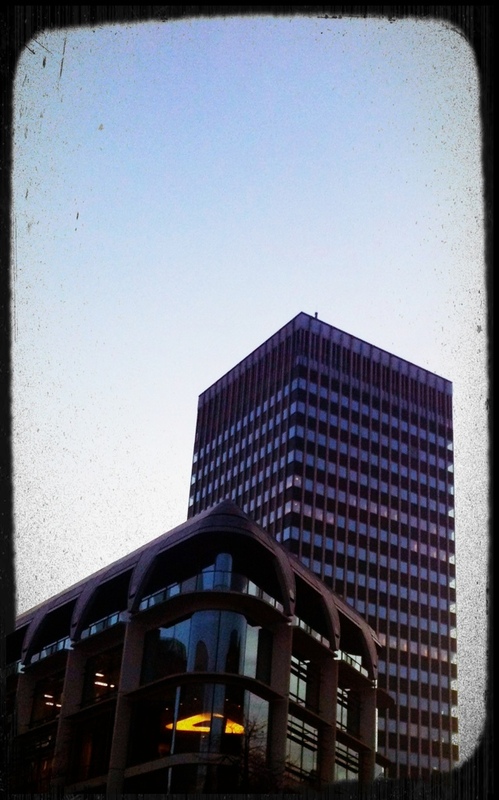 Two office blocks, squat and menacing, guarding the way into Oxford Street. 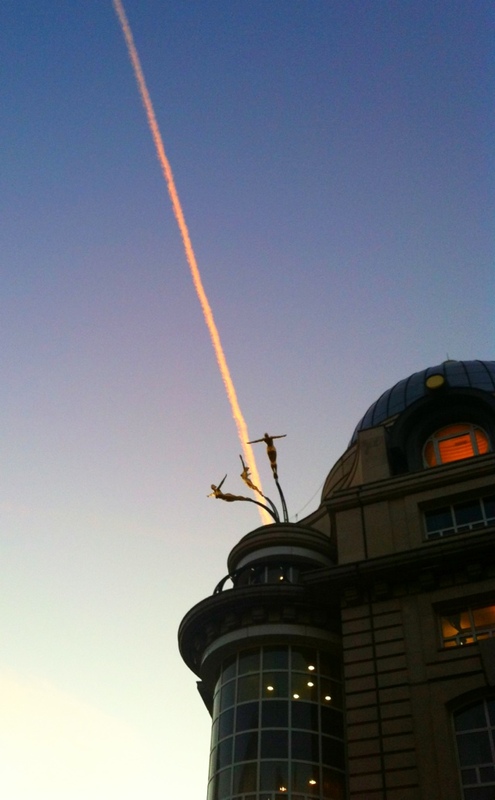 Or a jet trail, catching the light in just the right way, lancing into a department store by Leicester Square, sending out a plume of statues like surrealist flowers. Looking at these three together, I suddenly realise how much sky there is in them. As I work in a dark room all day, I’m sure there’s a reason for that.